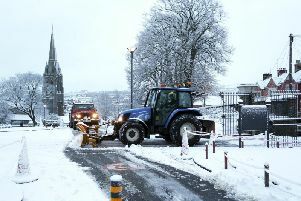 The adverse weather conditions have resulted in the closure of some schools in Northern Ireland. Some N.I. 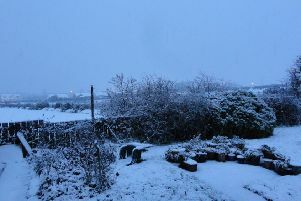 schools have closed because of the adverse weather. - Ballycastle Integrated Primary School 43 Quay Road - Closed on 30 January 2019 due to adverse weather. - St Peter's and St Paul's Primary School 296 Foreglen Road - Closed on 30 January 2019 due to adverse weather. - St. Thérèse’s Primary School Lenamore Heather Road - Closed on 30 January 2019 due to adverse weather. - St Joseph's Primary School Crossgar 4 Ballynahinch Road - Closed on 30 January 2019 due to no heating. - St Joseph's Primary School Donemana 82 Moorlough Road - Closed on 30 January 2019 due to adverse weather. - St Mary's High School Belleek Brollagh - Closed on 30 January 2019 due to adverse weather. - St Mary's Primary School Claudy 70 Monadore Road - Closed on 30 January 2019 due to adverse weather. - St Mary's Primary School Mullymesker Mullymesker - Closed on 30 January 2019 due to adverse weather. - St Canice's Primary School Feeny, 34 Glenedra Road - Closed on 30 January 2019 due to adverse weather. - Listress Primary School 71 Slaghmanus Road - Closed on 30 January 2019 due to adverse weather. - Londonderry Model Primary School Northland Road - Closed on 30 January 2019 due to adverse weather. - Newbuildings Primary School 83 Victoria Road - Closed on 30 January 2019 due to adverse weather. - Rossmar School 2 Ballyquin Road - Closed on 30 January 2019 due to adverse weather. - Holy Child Primary School Central Drive - Closed on 30 January 2019 due to adverse weather. - Culmore Primary School 181 Culmore Road - Closed on 30 January 2019 due to adverse weather. - Artigarvan Primary School 31 Berryhill Road - Closed on 30 January 2019 due to adverse weather. - Killen Primary School 76 Learmore Road - Closed on 30 January 2019 due to adverse weather. - Ballycastle High School 33 Rathlin Road - Closed on 30 January 2019 due to adverse weather. - Cross and Passion College 10 Moyle Road - Closed on 30 January 2019 due to adverse weather. - Gaelscoil an Chaistil 5 Bothar na hAithe - Closed on 30 January 2019 due to adverse weather. - St Patrick's and St Brigid's Primary School 19 Moyle Road - Closed on 30 January 2019 due to adverse weather. - St Olcan's Primary School 202 Glenshesk Road - Closed on 30 January 2019 due to adverse weather. - Tattygar Primary School Lisbellaw - Closed on 30 January 2019 due to adverse weather. - Donemana Primary School 31 Longland Road - Closed on 30 January 2019 due to adverse weather. - St Cecilia's College Bligh's Lane - Closed on 30 January 2019 due to adverse weather. - St Ciaran's Primary School 132 Layde Road - Closed on 30 January 2019 due to adverse weather. - Glengormley High School 134 Ballyclare Road - Closed on 30 January 2019 due to no electricity. - Ashlea Primary School 163 Stevenson Park - Closed on 30 January 2019 due to adverse weather. - Hollybush Primary and Nursery School 10 Ardan Road - Closed on 30 January 2019 due to adverse weather. - St John the Baptist Primary School Belleek Carrenbeg - Closed on 30 January 2019 due to adverse weather.